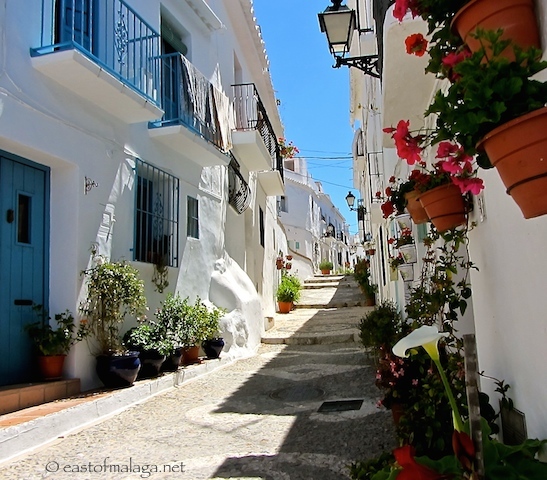 I shared this photo on my Facebook page yesterday, of the stunning white village of Frigiliana and it went VIRAL! Many of you don’t have Facebook – so I thought you might like to see it here, too. A Peep-Show for 20 cents? I know just the place! This entry was tagged Andalucía, East of Malaga, Europe, Frigiliana, Malaga, photography, Spain, travel, white villages. Bookmark the permalink. So now you are going ‘viral’…awesome. Every picture tells a story…… this one tells Frigilianas beautifully. But, even this cannot tell the “full” story. I totally agree with you. We always make a point of making that same drive whenever we are in the area. It must be lovely to wake up to that view every morning! Hooray, it’s a beautiful photo! I understand why it goes viral now! Sooo pretty!